Do absentee ballots facilitate fraud? Lessons from East Chicago — could a statewide election be subverted? 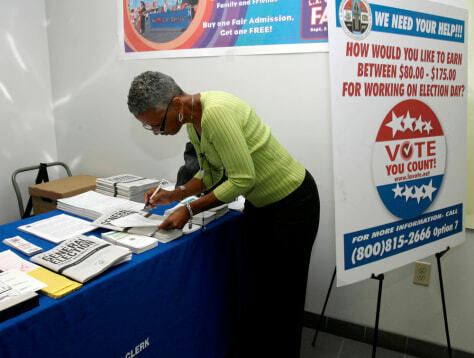 Veri Edwards applies for an absentee ballot on Oct. 6 at the county clerk's office in Norwalk, Calif.